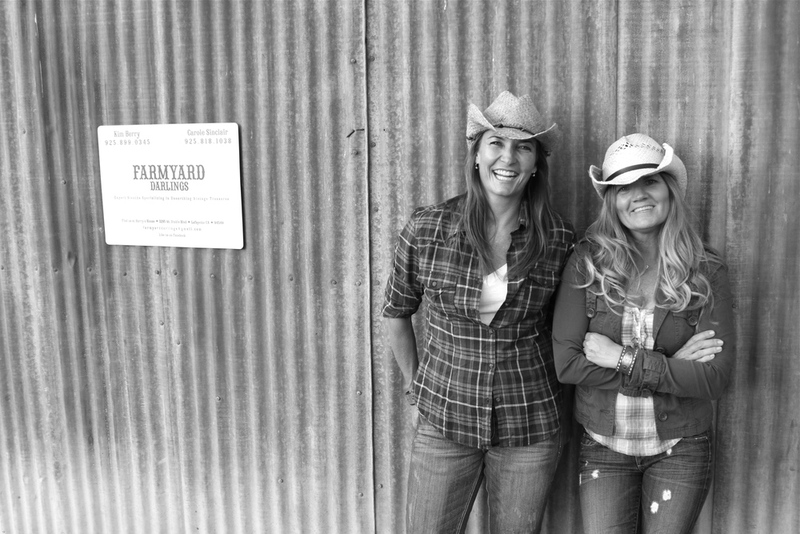 The Farmyard Darlings are expert sleuths who unearth vintage treasures and design custom furniture made from reclaimed wood -- such as barn doors, farm tables, benches, bars, and much more. The Darlings try to create a lifestyle that recalls a time when life was much simpler, slower...when people took time to enjoy each other's company and to enjoy each day. They fill their lives with items that are chosen carefully -- that are beautiful yet useful, items that give each of us pleasure. They are excellent at blending country chic with a contemporary twist. From the freshly picked mint in vintage milk bottles and placed on a Farmyard Darlings Gathering Table to their custom barn doors with vintage hooks. Farmyard Darlings unearth treasures that are to be treasured not only by them but by you. "The Darlings" believe in this country's history of creative freedom, imagination and entrepreneurial-spirit and proudly support American-made craftsmanship with all of their products. Our book. Our video. Our 'grams.